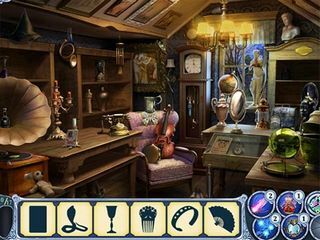 How about a hidden object game for mobile devices with a really twisted story? If that sounds interesting to you, grab Hidden Objects: Twilight Town! This game is really something. You need to be really careful to pick up some clues to figure out what's trully hapenning in this town. This game has a lot of potential among fans of different genres since it is a mixture of several of them. The story of this game has serveral very interesting details that really spice it up. And some of us really appreciate a good story and interesting characters. It all begins with a desturbing letter from one of your relatives. Rushing to the town he wrote from you arrive only to learn that he died last night. The circumstances of his death were not clear. Then you receive his mension as his air as well as all his unfinished work. And the work looks like a very important investigation that probably was the reason of his sudden death. You become the new judge as his heir. And as one you will have to deal with the other reality of this town. You soon learn that some of the people become warewolves or vampires at night. You will not only act as a detective, but also as one of the men of power deciding what to build in town. This adds a time-management aspect to the mystery of the story and all the hidden object scenes of the game. 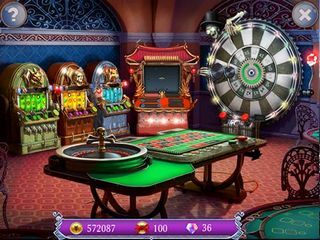 As you can see there is a lot for you to learn and do in Hidden Objects: Twilight Town. You will enjoy meeting all the characters of the game too! This is Hidden Objects: Twilight Town review. Download this game here.